Engine turns over, but needs full rebuild. 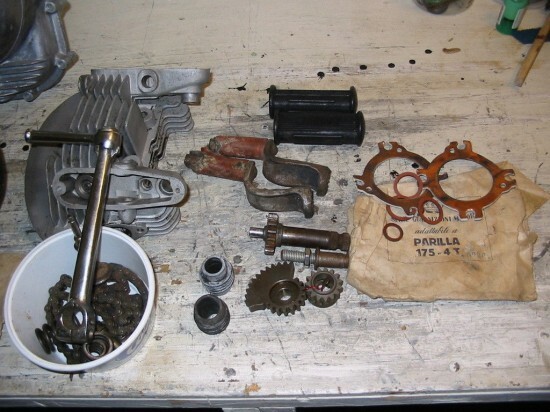 Have some engine parts, spare cylinder, head and more…. These will be included if buy it now price is reached……………. Full payment within 14 days of auction end. BUYER responsible for pickup/shipping arrangements. The picture sequence of the auction is a little confusing, and any buyer might want to send a question. 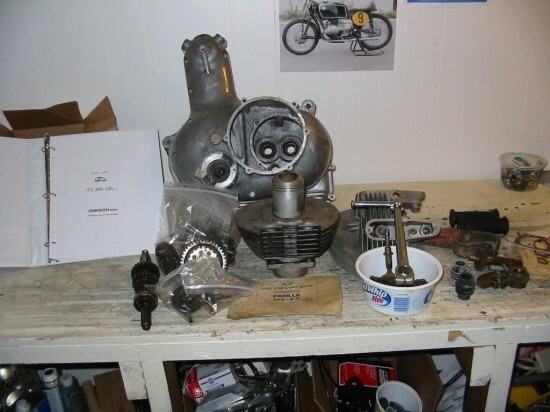 Is the engine pictured in the frame the same engine that is in pieces on the work bench? When the seller says the engine turns over, do they mean the crank in the case? Is that the before picture and in the frame the after picture? 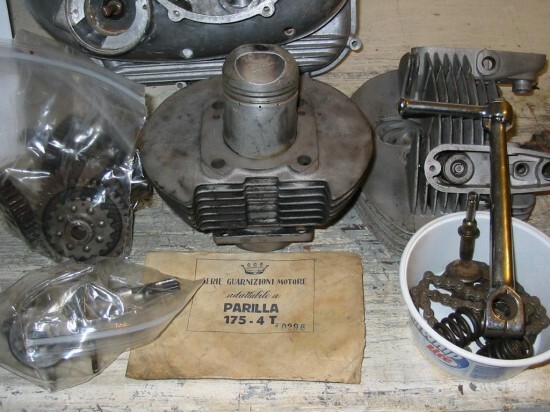 Looking around a little it appears Parilla was a manufacture that had specialized in 2-stoke engines before the Lusso Veloce. They had developed the engine to fill the gap between their offerings to the public and the engines that the company went racing with. 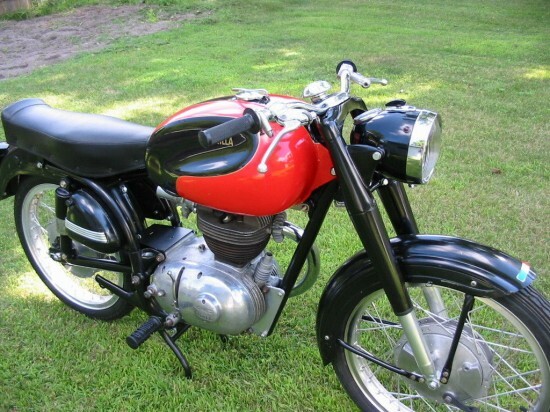 The 175cc engine was tuned for both touring and sport models, with the Lusso Veloce offered as the sport, and the Parilla Fox as the touring model. 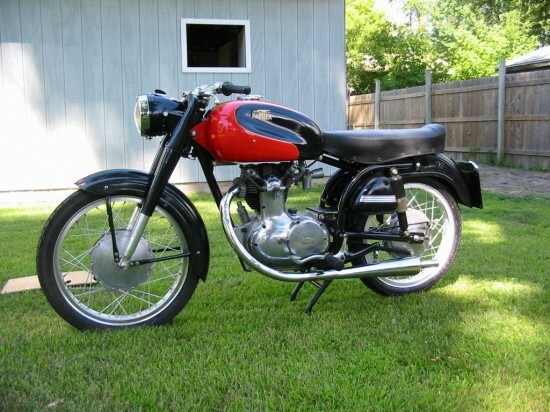 Baseball card number for the 175cc engine: 18hp at 8800 rpm fed by a 25mm SS1 Dellorto giving you 77mpg (touring model?) and a top speed of 86mph. Not bad for 175cc. 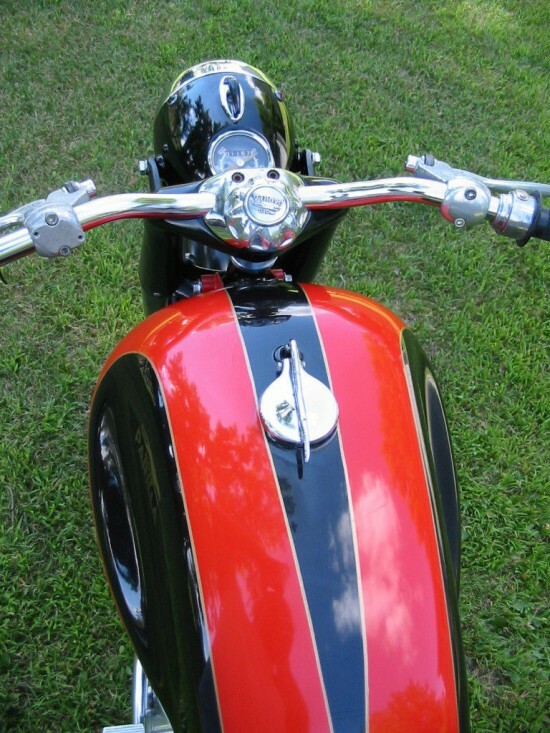 The Parilla high cam design gave the advantage of short push-rods, allowing you to wind the engine up. 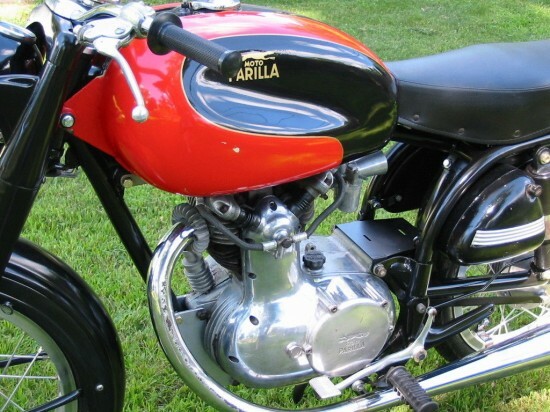 Parilla used the design in 175cc, 200cc and the big 250cc Grand Sport. They also offered the North Americans an off road capable Wildcat.